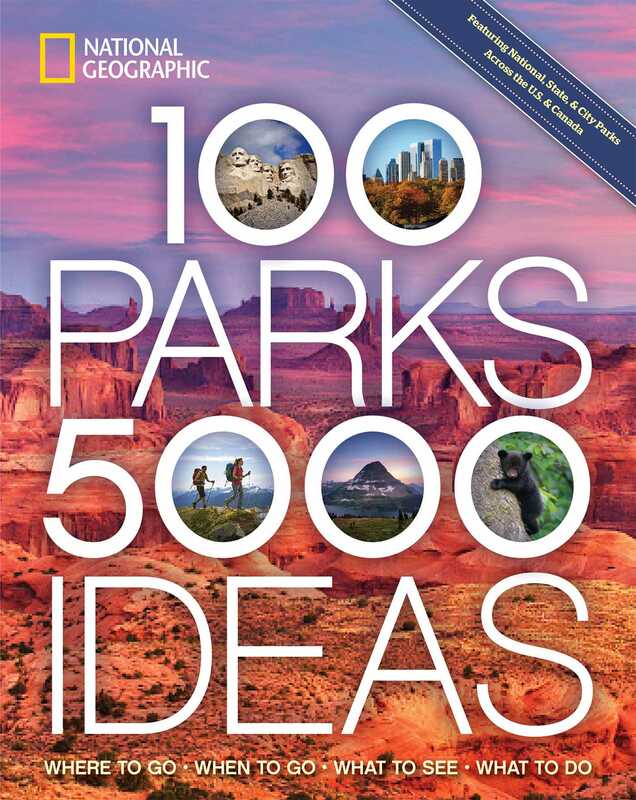 In the sequel to the best-selling 50 States, 5,000 ideas, National Geographic turns to the United States' and Canada's most pristine--and adventure-filled--national, state, and city parks with 5,000 ideas for the ultimate vacation. Showcasing the best experiences, both obvious and unexpected, each entry in this robust guide provides an overview of the park, detailed travel advice, fascinating facts, insider knowledge about wildlife, and expert tips for hiking, biking, camping, and exploring. From the geysers of Yellowstone National Park to the Everglades' Nine Mile Pond Canoe Trail and the stunning peaks of Banff and Jasper in Alberta, each page will fuel your wanderlust. Plus, explore the natural beauty tucked away in cities like New York's Central Park and Boston Commons, and find bonus parks with day-trip suggestions to nearby neighbors. Top 10 lists throughout highlight best-of destinations for river trips, monuments, panoramic views, beaches, and more. This comprehensive book provides all the inspiration and information you need to plan your next park visit--and make it a memorable one. During three decades as a editor, writer, and photographer, JOE YOGERST has lived and worked on four continents--Asia, Africa, Europe, and North America. His writing has appeared in National Geographic Traveler, Conde Nast Traveler, Travel + Leisure, Islands magazine, the New York Times (Paris), and numerous National Geographic books. During that time, he has won four Lowell Thomas Awards, including one for Long Road South, his National Geographic book about driving the Pan American Highway from Texas to Argentina.